[PDF] Explorer's Guide Colorado's Classic Mountain Towns: A Great Destination: Aspen, Breckenridge, Crested Butte, Steamboat Springs, Telluride, Vail & Winter Park (Explorer's Great Destinations) | Free eBooks Download - EBOOKEE! Description: Colorado's spectacular ski townslike Aspen, Vail, Telluride, and Crested Butteoffer far more than just skiing: they offer some of the best hiking, mountain biking, fishing, shopping, dining, and lodging in the world, and all year round to boot.Author Evelyn Spence, a former editor at Skiing magazine and avid outdoorswoman, has turned the state's classic mountain towns upside down to find quirky annual festivals, superb Rocky Mountain cuisine, historic B&Bs, trout-filled streams, powder-choked runs, Manhattan-worthy shopping, and jaw-dropping drives, and combine them in this unique travel guide. Whether you want to sleep under the stars or inside a toasty wilderness lodge, this guide will help you plan the ultimate Colorado mountain experience. 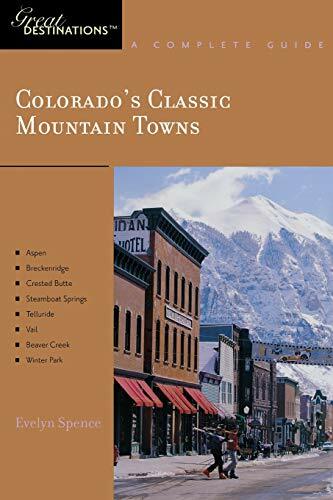 No comments for "[PDF] Explorer's Guide Colorado's Classic Mountain Towns: A Great Destination: Aspen, Breckenridge, Crested Butte, Steamboat Springs, Telluride, Vail & Winter Park (Explorer's Great Destinations)".